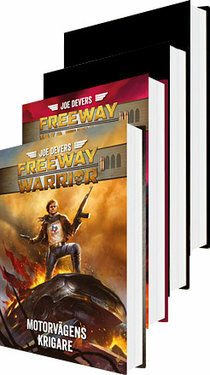 Joe Dever’s Freeway Warrior is a Game Book series of four post apocalyptic adventures, where the mood is somewhere between Mad Max and John Steinbeck’s Grapes of Wrath. 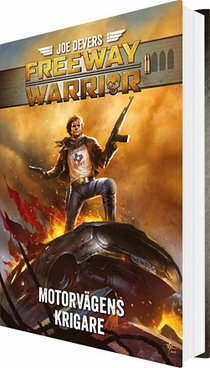 In the Game Books, you take on the role of Cal Phoenix, and your mission is to help a group of survivors on an exodus from Texas, where food is running low, to California which is believed to have made it through the nuclear winter in better shape. You will face a lot of challenges along the way, not the least from the terrorist clans with ties to the organization who triggered the nuclear disaster. 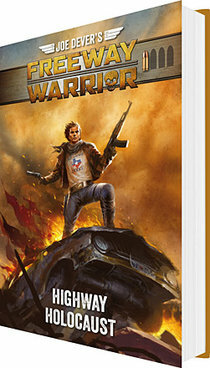 The small colony has to go west in order to survive, crossing the post apocalyptic wasteland of chaos och criminal gangs. 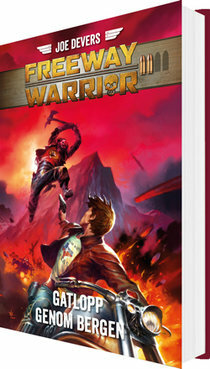 We will also publish a roleplaying game based on Joe Dever’s gamebooks. 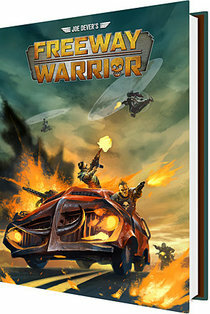 All english Freeway Warrior titles include shipping worldwide. 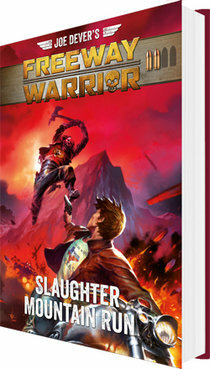 Note: All titles will be released in one English and one Swedish edition. Joe Devers första postapokalyptiska soloäventyr i hårdpärm (med skyddsomslag och dubbla bokband). Joe Devers andra postapokalyptiska soloäventyr i hårdpärm (med skyddsomslag och dubbla bokband). 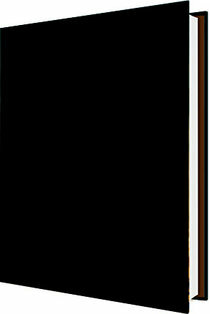 FÖRBESTÄLL detta rollspel (i hårdpärm) baserat på Joe Devers postapokalyptiska soloäventyrsserie.